Plan a driving trip to experience many national parks and monuments, as well as other interesting Western sights in South Dakota, Montana, and Wyoming. When Yellowstone, America’s first national park, was founded by Congress in 1872, it established a tradition for the preservation of our country’s natural resources. Today, we count nearly 400 natural treasures from Acadia to Mt. Zion in our National Park system, and they continue to entice travelers from around the world who are passionate about the splendor of the great outdoors and American history. Spending one to three weeks in this fascinating part of the American West will introduce you to many of our most popular parks and monuments, and expose you to the history of several Native American tribes as well as the prairie pioneers. Plan well and select from these suggestions the sites and attractions that will most please your family. If you have to fly in and rent a discount rental car for this classic road trip, start slow in Rapid City, located on the outskirts of the Black Hills National Forest of South Dakota. In order to spend a few days exploring this area, you can choose from among a number of chain hotels with indoor pools (a good idea) in and around the city. In addition, WaTiki Waterpark is perfect for cooling-down, fun activities during the summer. With Rapid City as your base there’s much to explore. For an overview, visit the Journey Museum which offers a high-tech trip through 2.5 billion years of the region, highlighting history, art, geology, archaeology, Native American artifacts and traditions, and the stories of the pioneer settlers and their challenges. Reptile Gardens features rare reptiles, mammals, wild birds and beautiful orchids in their indoor jungle. Located east of Rapid City off I-90, you will find Wall Drug, the world’s largest drug store at more than 76,000 square feet and a good place to shop for souvenirs. It is a family-friendly attraction of its own, and a great place to stop for lunch. 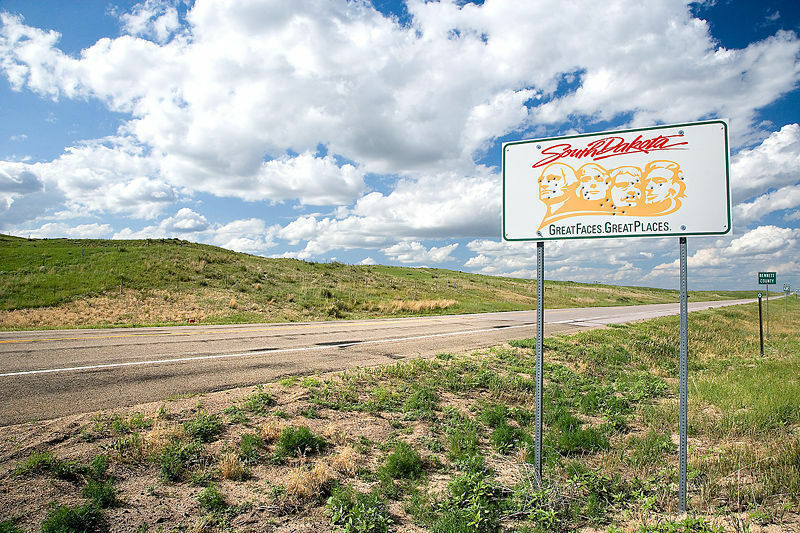 Southwest of Rapid City via Routes US 16 and SD 244, it is about 25 miles (40 minutes) to the most recognized symbol of this region, Mount Rushmore National Memorial. Danish-American sculptor Gutzon Borglum began the project in 1927 at the age of 60, and when he died in 1941, it was not yet complete. Known as the “Shrine of Democracy,” this awesome site has offers a walking trail, a 2,500-seat amphitheater, a visitor center, a museum, a foodservice facility and a gift shop. 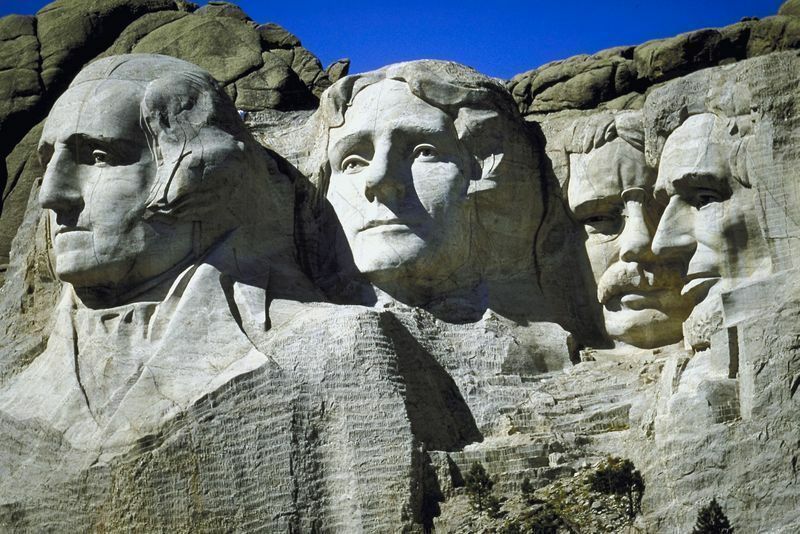 The nearly 3 million visitors each year learn about the almost 400 men who helped to carve the monument for an average salary of $1.00 per hour, and that the presidents’ noses are 20-feet long and their mouths are 18-feet wide. From May through September, the evening lighting ceremony is a particularly impressive sight. Continuing southwest from here, it’s about 17 miles (25 minutes) via Routes SD 244, US 16 and US 385 to another sculptural marvel, which is still under construction. 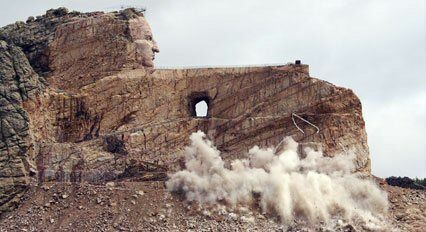 The creation of the Crazy Horse Memorial complex was begun in 1948 at the request of Lakota elders who wanted the white man to learn about Native American heroes. Chief Henry Standing Bear, an Oglala Lakota Chief chose Crazy Horse because he symbolized their spirit, pride and courage. When finished, this mountain carving, done in the round, will stand 563-feet high and 641-feet long. The complex, which welcomes over 1 million visitors a year, also includes an Indian Museum, a Native American educational and cultural center, the sculptor’s home and studio, audio/visual presentations and galleries and the Laughing Water Restaurant. If you’re planning to stay overnight in this area, consider the beautiful 71,000-acre Custer State Park, where herds of bison roam freely. Several resort accommodations within the park range from cabins and cottages to lodges, and can be viewed on the site. From Crazy Horse, the Hot Springs region is about 35 miles (1 hr) southeast via Route US 385. Here you will find the fascinating Mammoth Site, an ongoing dig featuring 26,000-year-old bones of woolly mammoths that lived here. After the half-hour guided tour, you can spend an hour or two exploring on your own. For some relaxation, visit Evan’s Plunge for a soak in the healing waters of natural mineral fed pools. On the way to Hot Springs, you can make a stop at the underground attraction Wind Cave National Park. One of the longest cave systems in the world, it is made of ancient limestone, and creates a complex subterranean maze. 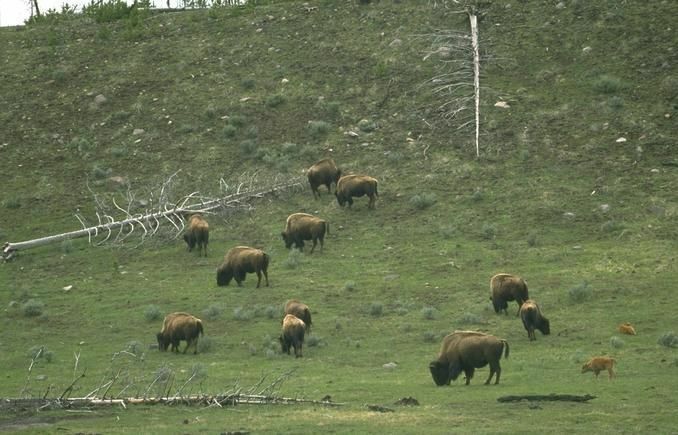 Above ground, its over 28,000 acres of land are home to native wildlife such as bison, elk and mule deer. Visitors will see rare formations of crystals, and can learn about the “windy” sound which accounts for its name, on one of several cave tours which are rated by activity level. Need a family-friendly hotel in the Mount Rushmore area? Go here. An extraordinary side trip to consider, even if somewhat out of the way, is the stark, barren Badlands National Park about 80 miles (1 ¼ hours) southeast of Rapid City via Routes I-90, SD 240 and SD 44. The 244,000-acre park was so-named by 19th century fur traders who referred to it as “bad lands to cross”. Its geological formations fascinate visitors who are intrigued by its desolate beauty. Select from eight hiking trails ranging from a quarter-mile to 10-miles long to see native prairie grasses, wildflowers, wildlife, fossils and the striking steep canyons, jagged spires and moon-like landscape. En route to Yellowstone National Park, you could choose to travel west across Wyoming, or northwest through Montana. To traverse Wyoming, take Routes I-90 and US 14 about 400 miles (7 hrs.) 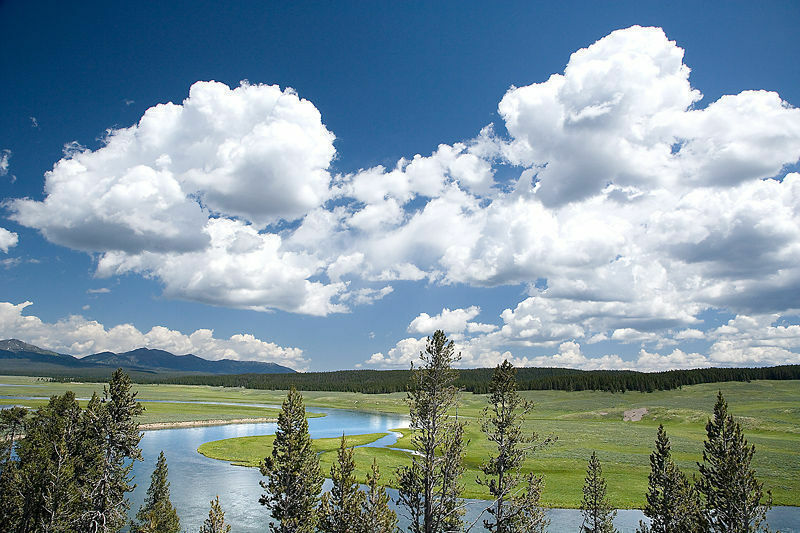 to Cody, one of the Yellowstone’s gateways, about a one-hour drive from its eastern entrance. While here, you can have an authentic “cowboy” adventure including a visit to the Buffalo Bill Center of the West and Buffalo Bill State Park, as well as stay on a dude ranch for a few days of riding and rodeos. We especially recommend the Paradise Guest Ranch, located 6 miles west of Buffalo, WY, making it a great mid-way overnight point between Rapid City and Cody. The ranch offers luxury log cabins with private baths and fireplaces, three family-style meals a day and a host of activities from fishing, riding, square dancing, spa and pool, an overnight teen pack trip and sing-along bonfires. Contact the Dude Ranchers Association for listings of other ranches in the region and be sure to ask the minimum age at which kids can ride. Families interested in staying in town will like the indoor and outdoor pools at the Best Western Sunset Motor Inn, just a few blocks from the Buffalo Bill center. Alternatively, you could travel on Route I 90 375 miles (5 ½ hours) to Billings, Montana, through the Crow Indian Reservation. Here you can tour the Little Big Horn Battlefield National Monument, the site of General Custer’s Last Stand, where his troops were crushed by Sioux, Cheyenne and Arapaho warriors. In addition to a museum and memorial, guided tours focusing on military history are offered by Native Americans and Park Rangers. Unless someone in your group is a military history buff, a self-guided tour is more appropriate for families. You’ll want to spend the night in Billings; for lodging selections visit www.visitmt.com. From Montana’s Little Big Horn, it is approximately 130 miles (2 ½ hours) to “Old Faithful,” Yellowstone National Park which you could enter from its north, northeast or east entrances. Please note that the north entrance at Gardiner is the only one open to cars all year. During the winter months, the west, south and east entrances are open only to tracked over-snow vehicles such as snowcoaches and snowmobiles. Mammoth Country, North Western Region: Site of the Mammoth Hot Springs and home to elk and bison. 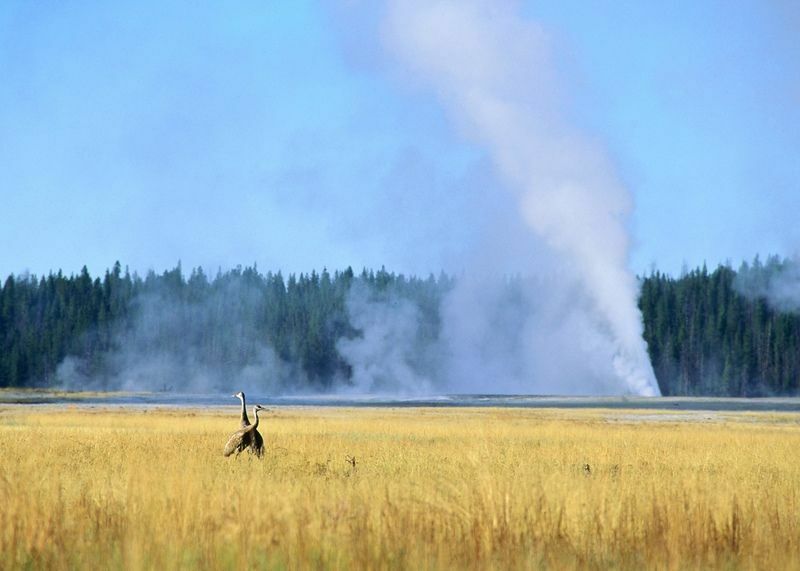 Geyser Country, South Western Region: Home to Old Faithful and other geothermal features such as fumaroles, mud pots and hotpools. Lake Country, South Eastern Region: Where you will find osprey and bald eagles at the cold, blue Yellowstone Lake located at an altitude of 7,735 feet. Roosevelt Country, North Eastern Region: An area covered in sagebrush, spruce, fir, pine, aspen trees and a petrified forest. Inhabited by deer, bison and wolves, it is reminiscent of the Old West. Canyon Country, East Central Region: Home to the “Grand Canyon of the Yellowstone,” the Hidden Valley and Lower Falls, twice as high as Niagara Falls. Elk, bison and deer roam this area. Several sightseeing excursions within Yellowstone are available. Visit Travel Yellowstone for information on “The Circle of Fire” tour of the caldera rim including the Upper and Lower Geyser Basins, “Yellowstone in a Day” which introduces you to Mammoth Hot Springs and Old Faithful, a “Yellowstone Lake Butte Scenic Tour,” as well as several other tour options during the summer. In winter you can explore the park on snow via snowcoach, cross-country skis, snowshoes and snowmobiles. For great family programs, visit the Yellowstone Association for information on year-round Lodging and Learning programs. Special programs and activities for children include the Junior Ranger program which offers visitors from age 5 a chance to complete a series of activities during their park visit, share their answers with a park ranger, and receive an official Junior Ranger badge or patch and Junior Ranger certificate. Additionally, The Young Scientist Program welcomes kids from age 5-years-old to solve science mysteries and earn a Yellowstone patch or key chain. Several rustic but comfortable lodges such as the Lake Yellowstone Hotel and Cabins, The Lake Lodge Cabins, The Mammoth Hot Springs Hotel on the parade grounds of the old Fort Yellowstone and The Old Faithful Inn offer accommodations with private baths, restaurants, hiking, boating, wildlife viewing, and sightseeing tours. A popular new hotel built in the traditional park-lodge style (with heavy timbers and a cedar shingle roof) is the Old Faithful Snow Lodge and Cabins, just a five-minute walk from the geysers. Located via Routes 89/191, only 7 miles south of Yellowstone, Grand Teton National Park is also known for its abundant wildlife and dramatic scenery. The jagged mountain range rises more than 12,000-feet above sea level, creating a habitat which offers families an opportunity to see a trumpeter swan, visit the National Elk Refuge, hike to a mountain lake or waterfall, fish, or raft down the Snake River. For lodging suggestions, visit the Grand Teton Lodge Company. We suggest Colter Bay Village which offers a choice of well-priced rustic log cabins and tent cabins and is popular with families. Other options include the Jackson Lake Lodge, a full-service resort, and the deluxe and historic Jenny Lake Lodge, named one of the “Top 500 Hotels in the World,” featuring 37 cabins situated in a pine forest. If you prefer a bit more civilization (galleries, shops, fine restaurants), consider staying at one of Jackson, Wyoming’s many hotels or fancy resorts, then commuting to Grand Teton (within an hour’s drive on Routes 89/191) for day adventures. We can recommend both the luxurious, wilderness Spring Creek Ranch, the Snow King Resort, and condominiums surrounded by Bridger Teton National Forest (a popular ski area in winter, and a great hiking spot in summer) and the funky, wild west-themed, motel like Cowboy Village Resort in town.